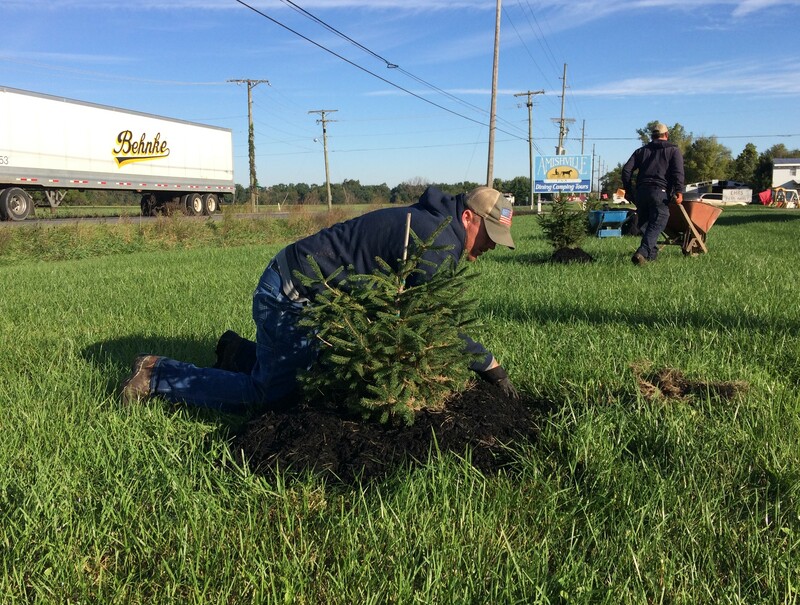 Indiana Electric Cooperatives Community Day provides an opportunity for Indiana's electric cooperatives to work collectively toward making a positive impact on our great state. 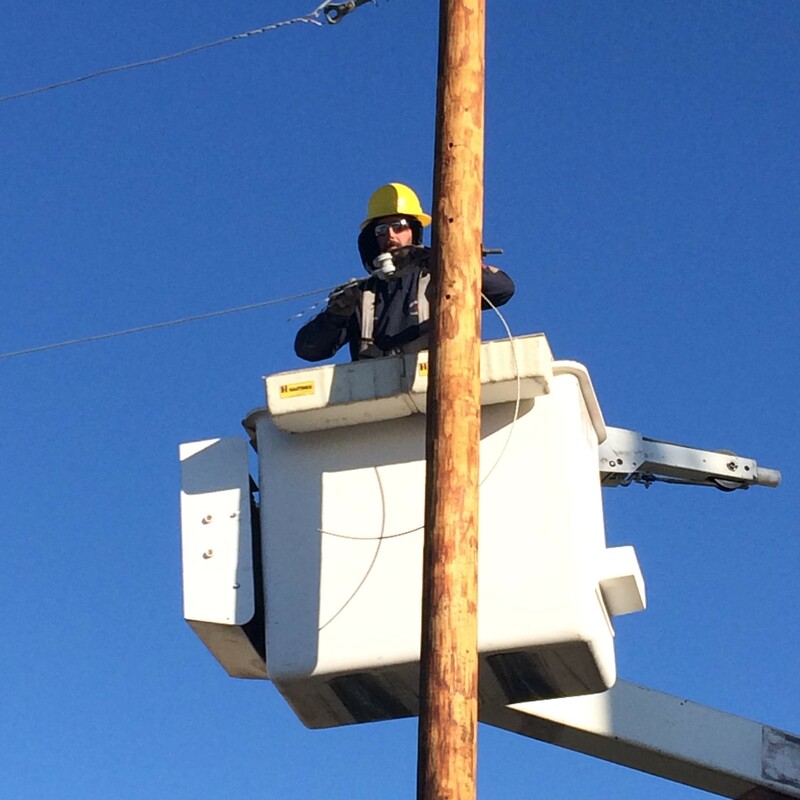 On this day, each of Indiana's electric cooperatives is asked to determine a need within its service area. Then, we have employees work as a team to complete the project in that particular area. 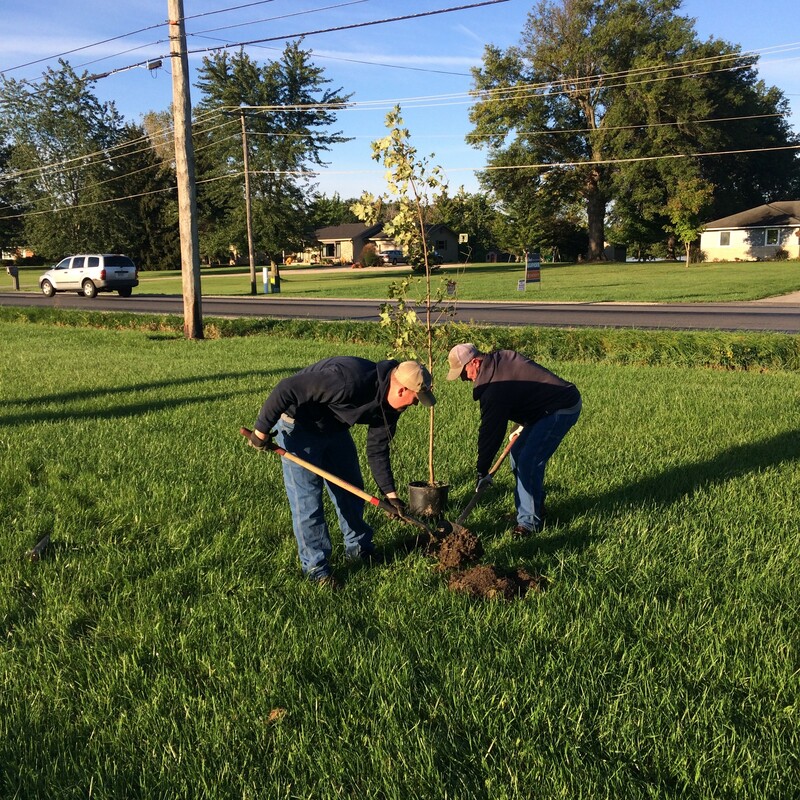 The day provides an opportunity to focus on the good work electric cooperatives do in their communities while raising awareness about Indiana's Electric Cooperatives. And it also gives us a chance to provide extra value to the communities we serve. 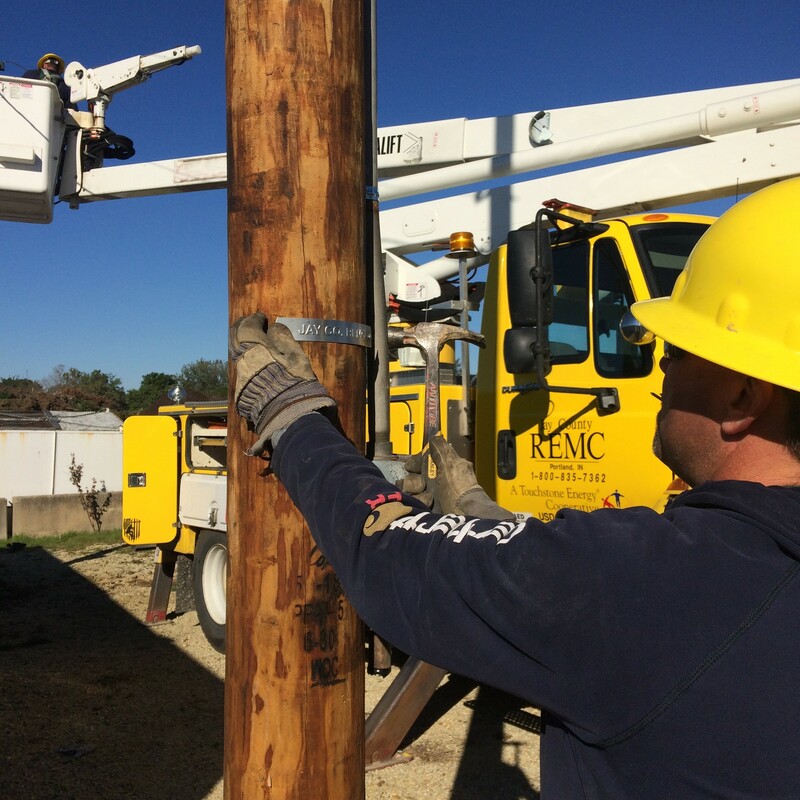 In 2018, Jay County REMC lent a hand in two projects. The first was South Adams Trail Head in Geneva, IN and Berne, IN. 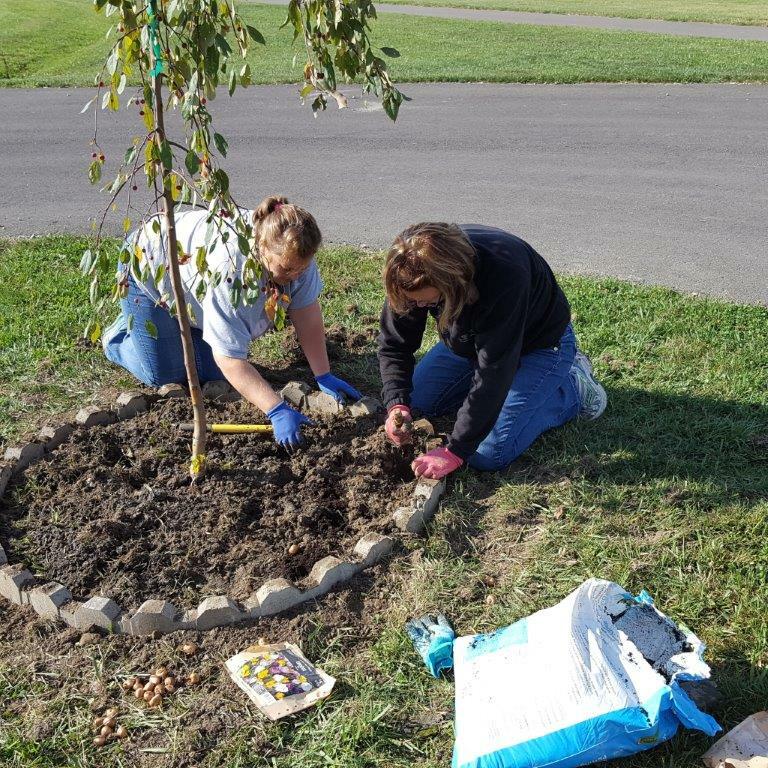 Here, the employees of the Jay County REMC lent a hand in planting more trees along the path on the north side of Geneva, IN. These trees are to provide beauty and shade along the path as well as to create a sound barrier. The second project the REMC lended a hand in was to the Winchester Fire Department. Here, the linemen created a mock hot-line set up for first responders to use while training. 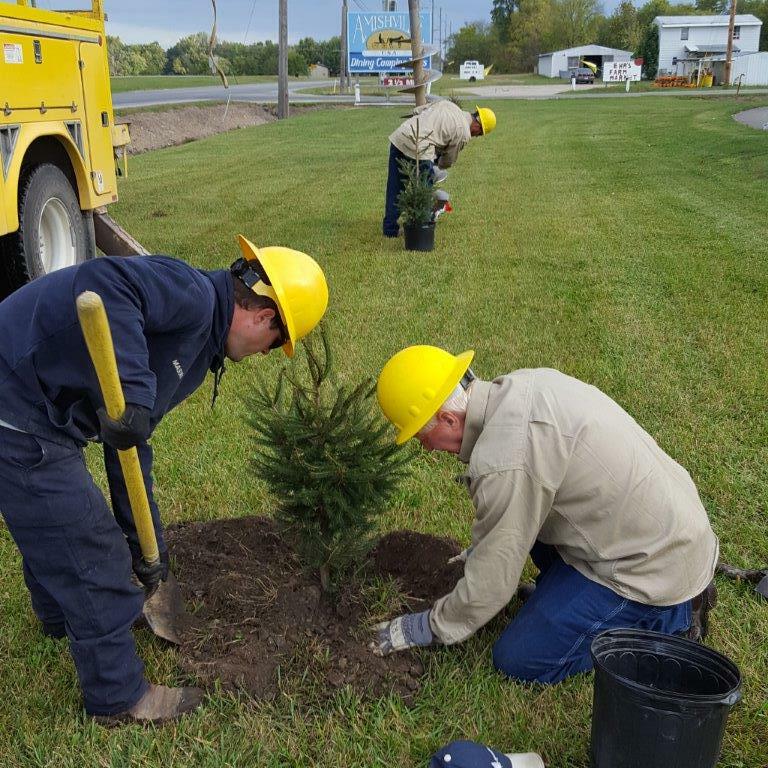 The set does not include power, it is for those first responders to learn about the equipment that is on the lines and to encourage the use of safety practices. 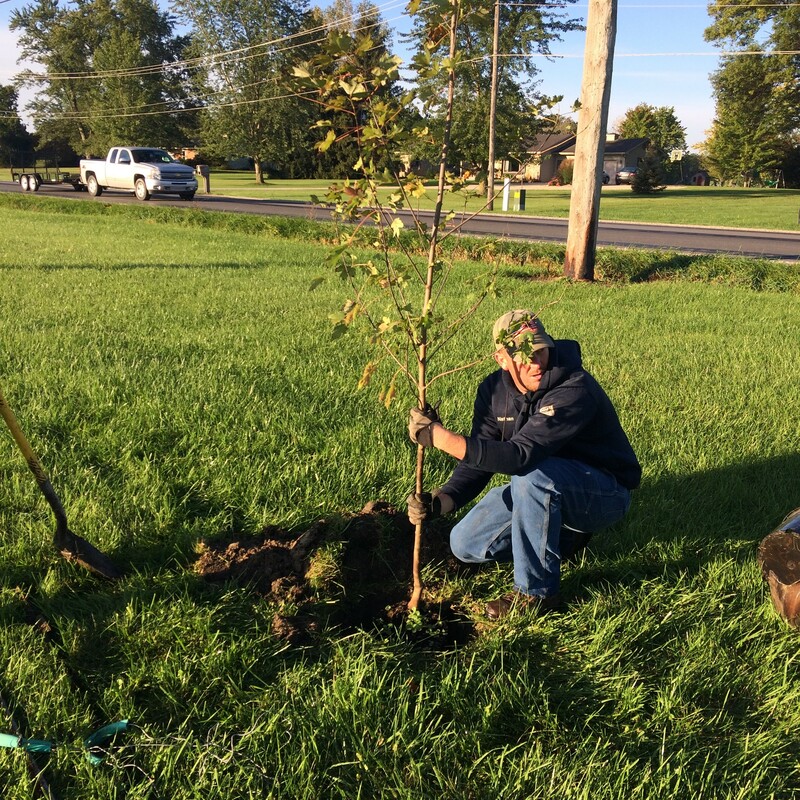 In 2017, the Jay County REMC came together with the South Adams Trail Head to begin a beautification project at the trail's head in Geneva, IN. The trails opened to the public with their ribbon cutting in October of 2016 to provide the southern portion of Adams county with a paved walking/running/riding path. The SA Trail Head begins at Rainbow Lake in Geneva and extends north to the Wabash River. It also runs from the Lehman Park Pavillion heading south to 700S in Berne. You can follow the progress of the trail as well as any events they may have on their Facebook page, South Adams Trails. 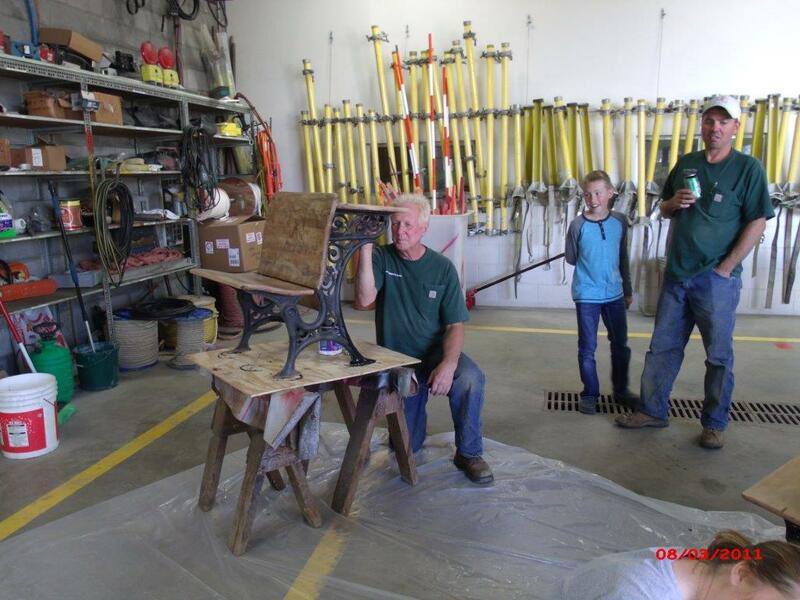 In 2016, the Friends of Ward Township Schoolhouse #5 was in need of help. The school was crumbling to pieces and the local residents sought help to save it along with it's history. 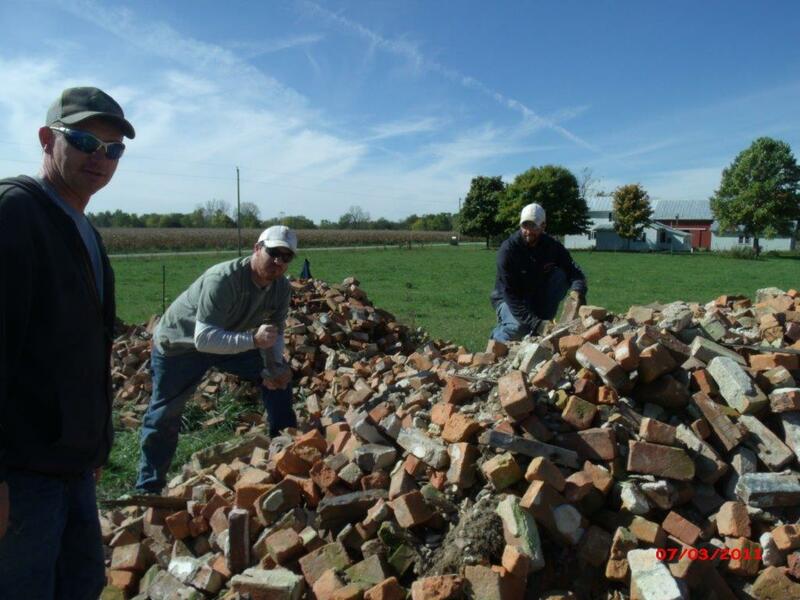 The REMC helped out by sorting through the piles of bricks to be reused on the building as well as refinishing the school desks found still inside the school. If you would like to reach out to the Friends of Ward Township you can do so through their Facebook page, Ward Township, District No. 5 Schoolhouse, Randolph County, Indiana. 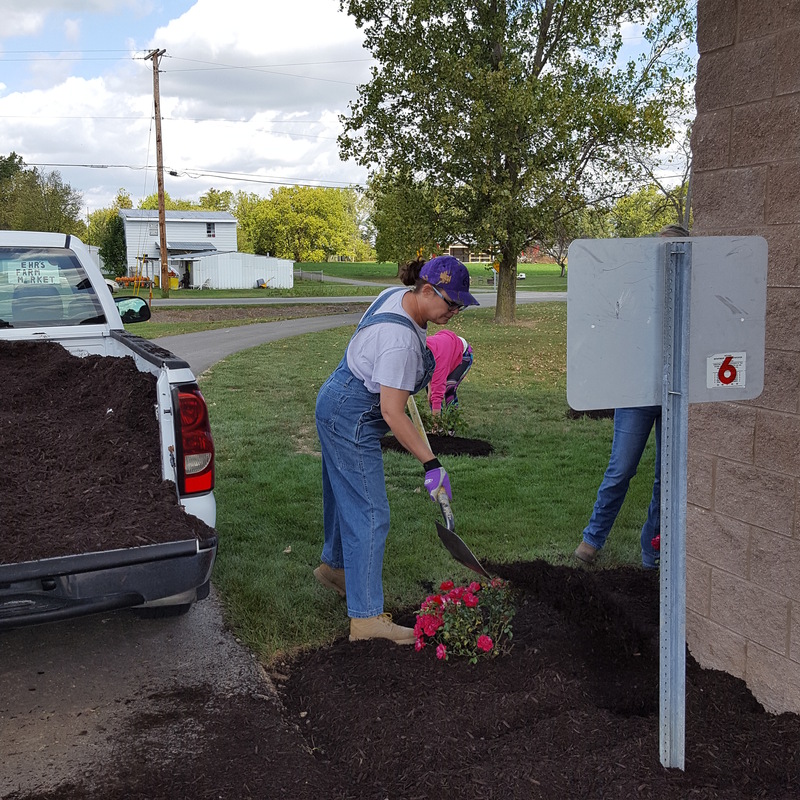 In 2015, we reached out to Frank Merry Park to help beautify the clubhouse. 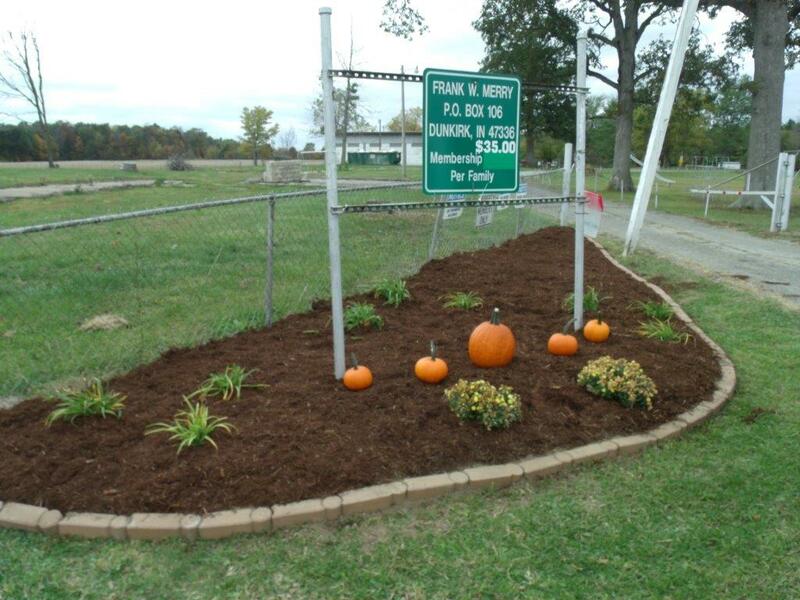 Frank Merry Park touches Blackford, Delaware and Jay counties and has a variety of amenities including fishing, gun or archery ranges, clubhouse rental and courts to name a few. The park's annual membership fee is open to the public. Visit frankmerrypark.com for more information. In 2014, we began our journey of seeking out those in need of help for our first Community Day project. The Journey Home, located in Winchester, IN, was where we began. The Journey Home helps veterans in need. That need maybe in the form of housing, stablility, support or intervention. 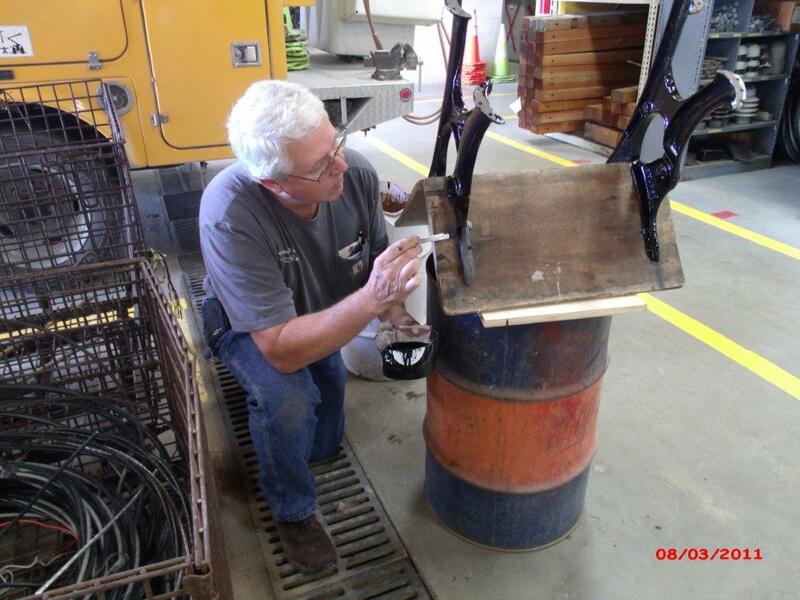 The REMC came to the Journey Home to help in landscaping and painting the front side of the building. If you are in need of assistance from The Journey Home or would like to know more about their cause, you can find them at JourneyHomeVets.org.